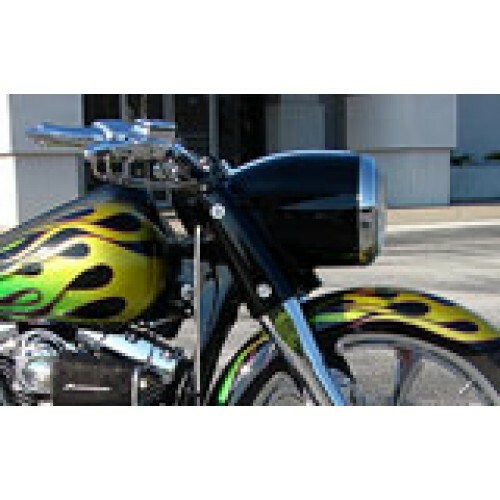 Our hand laid headlight Nacelle is an excellent way to dress up the front of any custom bagger. The seamless Nacelle features a 3" stretch over the factory headlight bucket and is finished in a urethane catalyzed sealer, all it requires is wet or dry sanding and the application of your top coats. 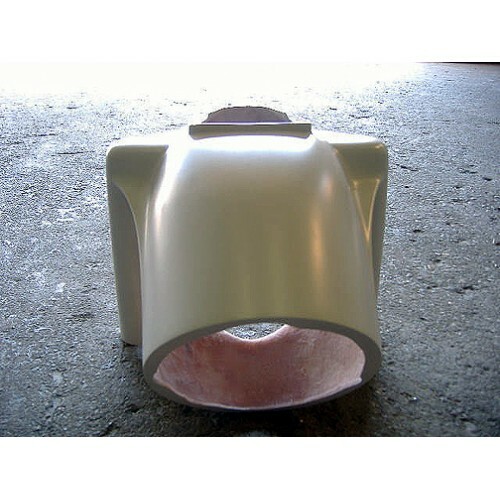 Constructed of thick hand laid fiberglass, this one piece design is an excellent way to start the project you have been dreaming of, or the perfect touch to finish off your custom bagger. The optional Nacelle spear (not included) is hand crafted from cast aluminum and then chromed, and measures 10 1/2" in length and 1 1/4" at its widest point. This spear is a tasteful upgrade of the factory piece and its 3" extension compliments the stretched Nacelle perfectly. 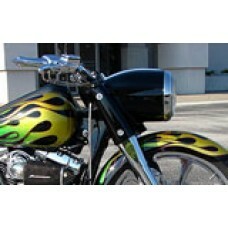 Fits Harley-Davidson Road Kings model years 1994-present. The Road King version requires the Bars to be Removed as it is a one-piece unit, unlike the two-piece factory unit. Also Designed for Bikes with 16" to 23" wheels, including raked Road Kings. The optional chrome nacelle spear gives the stretched nacelle that perfect finishing touch. Hand crafted and measuring 10 1/2" in length and 1 1/4" at its widest point, this spear is a stretched replica of the factory piece. While the stretched headlight nacelle is compatible with all Road King models, the stretched spear is not compatible with the nacelle visor found on the Road King Custom models. Utilization of the stretched spear requires converting to a traditional style handlebar clamp. 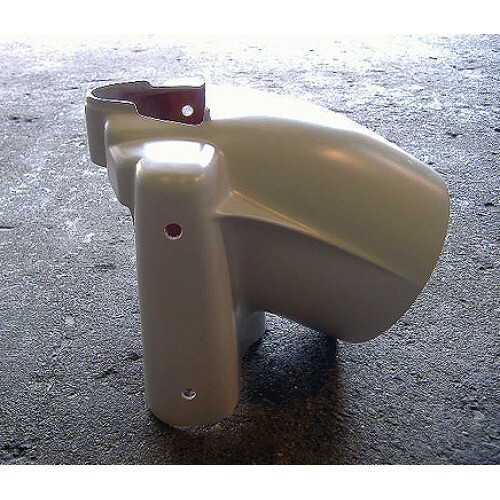 If the Road King Custom visor is retained, the stock nacelle spear can be reused in lieu of the stretched spear.